The Farming Life Centre will be a valued and respected source of health and business related support and information to the farming and rural communities of the Peak District. The provision of information and support to members of the rural community in times of challenge, hardship or crisis. The provision of information and support relevant to farming families. The provision of a community facility which celebrates the rural way of life and promotes upland farming past, present and future. 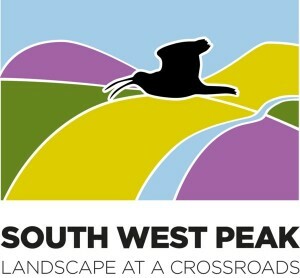 To aid the development of successful upland farm businesses in the Peak District by developing projects which will provide support, networking and training opportunities related to business development, with a particular emphasis on supporting new entrants and also those nearing the end of their farming careers. To promote improved physical and mental wellbeing in rural communities through the development and management of a range of initiatives which will reduce rural health inequalities. To secure a sustainable future for the organisation through a diversified range of income streams. The Centre targets the “hard to reach” rurally isolated. The average age of a farmer is widely quoted as 58 years. Many continue to work into their 70’s and 80’s, health permitting. Our main work is with the 40 years + age range, with a particular emphasis on those of 60+. Central to the Centre’s ethos is that at times of challenge in their lives rural residents can access a non-judgemental service where they will find empathy and support – and information and proactive signposting into services wherever possible. maintain better health – particularly mental health, by being part of a social network and learning skills to aid recovery from mental ill-health and to maintain good mental health.